Enhance the bliss of your stay. Two detached cottages, one with a full time caretaker. Surrounded by natural beauty and an abundance of water birds and wildlife. Great outdoors surround you, with all of the modern conveniences you might need to enhance your stay. 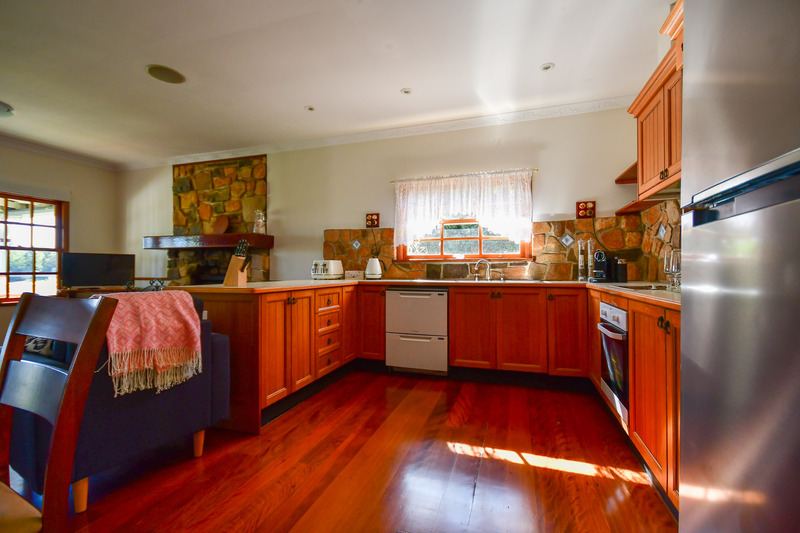 You can savour the aroma of your fresh-made morning brew using the in-house Nespresso coffee machine whilst drinking in the serenity and natural surrounds from your private veranda overlooking Tinaburra Waters. Deepen your bliss with a private yoga session on your private veranda. 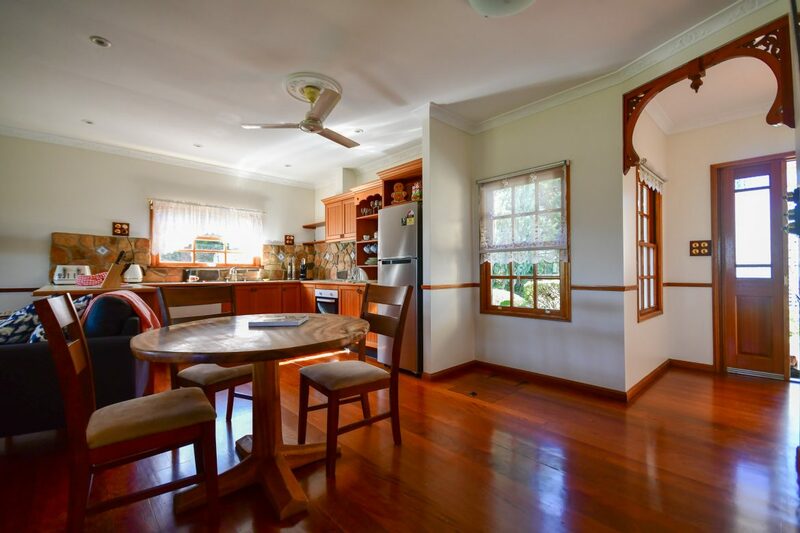 Kitchen made from Tasmanian oak and stocked with an extensive range of cooking and baking equipment and utensils, making food preparation a pleasure, and eating a delight! 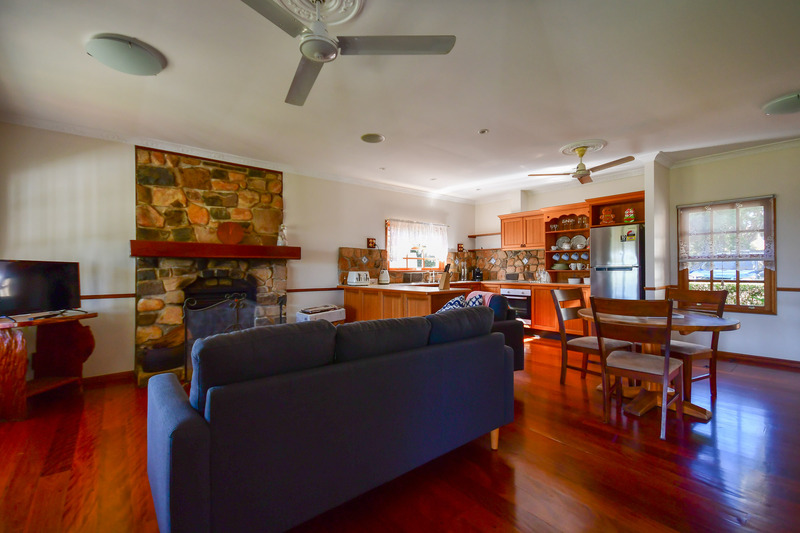 Candlelit dinner by the stone fireplace, or dine closer to the stars on your private veranda with waterfront views on those warm summer nights, or dine-out at the award-winning Nick’s Swiss-Italian Restaurant in the village of Yungaburra. 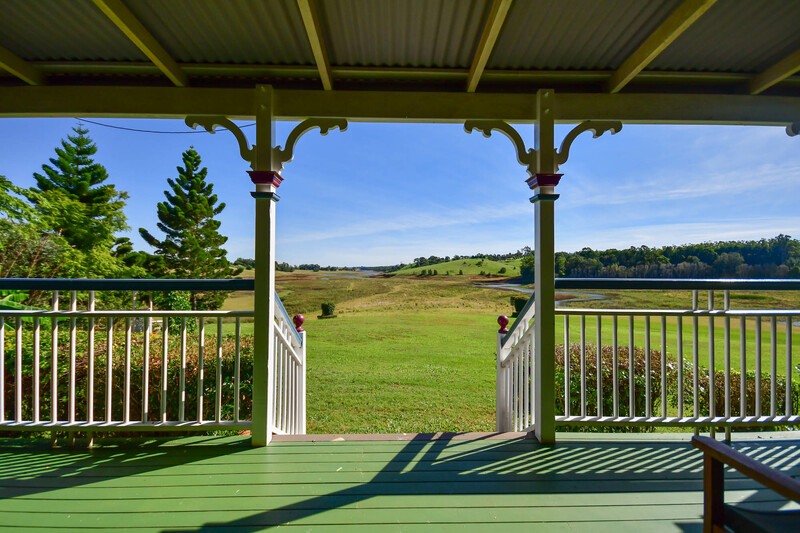 Each morning you wake to lakeside views from your private (Queen) bedroom, and can enjoy breakfast-in-bed or breakfast on the veranda with your fresh morning brew. 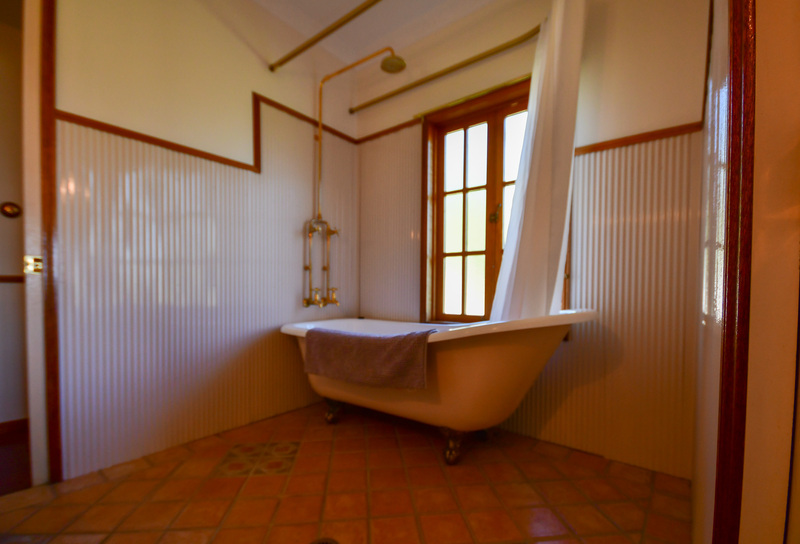 Your bathroom is filled with old-world charm complete with a roll top bath for long, luxurious hot bubble baths and soft, decadent towels to complete the experience. There is a “split king bed” in the 2nd bedroom providing flexible sleeping arrangements for additional guests. 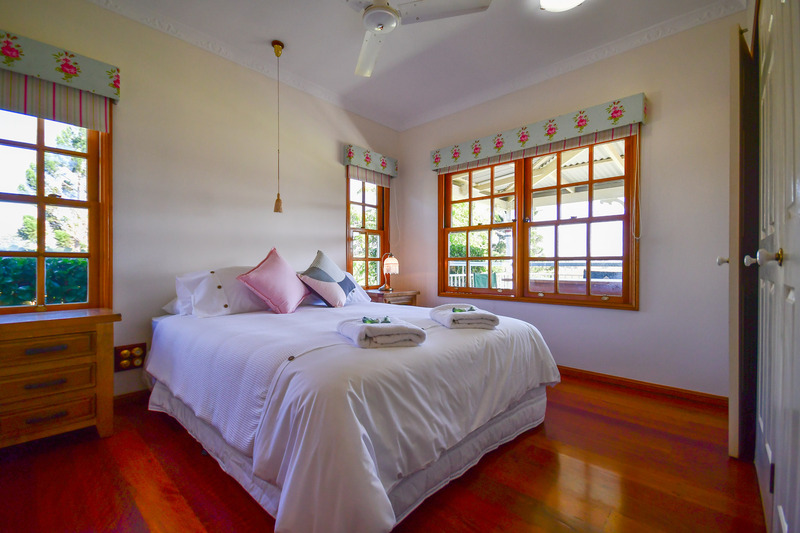 Your Lakefront Holiday Villa naturally includes a TV and sound system, as well as an iron and ironing board, and the convenience of free internet.